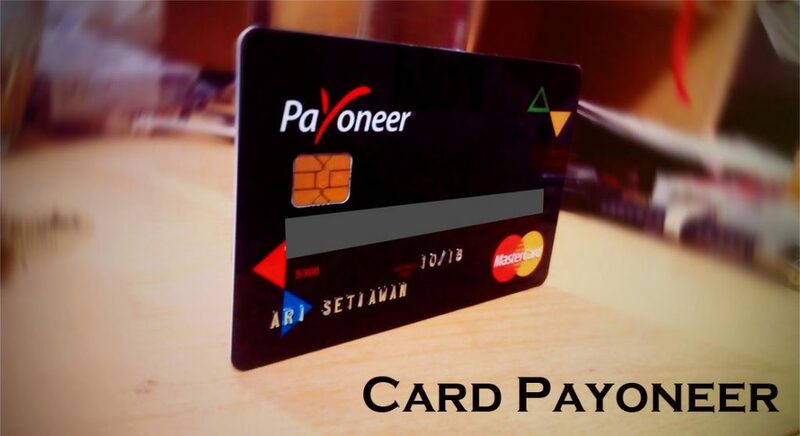 Card Payoneer is simply a way of referring to a Payoneer card. This term is used here to help some people with a certain level of understanding. Now to be precise, if you own a Payoneer account then there is a great need for you to get a prepaid credit card. This card comes with lots of benefits. This card allows you to spend from your Payoneer account like any regular debit card would to your personal account. If you work with nations overseas, then having a Payoneer account and an active prepaid card is absolutely necessary. Before now, if not all, most of the foreign organizations and affiliate programs only use PayPal and cheque to pay their customers. Payoneer has been a massive improvement in the cross national business platform as it allows users to send and receive payments from anywhere in the world. A payoneer master card is a card that can be used like any other credit card. This card can be used to make transactions anywhere a master card is accepted. This card is linked directly to your online payoneer account. This means that any transactions made with this card would reflect instantly on your online account. Now, if you like the card and desire to one then you must have a valid international passport, or a driver’s license, or a national identity card. Apart from the fact that you would be required to enter the number on this document, you would also be requested to submit a scanned copy of this document from time to time so that they would be able to verify you are the original owner. So you see that to obtain this account and maintain it is not really an easy process. Opening a payoneer account is one of the many processes you must undergo when you wish to acquire the payoneer master card. You can simply follow these steps for a detailed guide on how to open a payoneer account and earn from the referral bonus. From this page, hover your mouse on the “receive and withdraw” link on the top navigation. Select the option that says “prepaid mastercard” from the new menu. From the new page that would appear, hit “sign up now”. Now a new page would be loaded, on this page you would be requested to fill a form with your personal data. After filling the form, click on next. On the new page that would be loaded, you would now be required to fill a contact form. Fill it with the right information and click next again. Fill in your mail address and set up your security on this page. After that click on next again. Input your government data, agree to the terms and conditions and finalize by hitting the order button. You should receive your reply within three to five business days to your mail address. Activating your card should be very easy, immediately you receive your cad it would come with an envelope. Simply follow the instructions on the card to activate your Payoneer mastercard. This is very essential when you desire to obtain a virtual US bank account. To do this, simply log in to the official payoneer website again. After logging in, click the receive link in the top menu. Select US virtual bank account and fill the form in the new page to finish your sign up. When you complete this process, wait for a few business days to get a confirmation mail.